Truthfully, I've been writing so this wasn't really a procrastination recipe. It was more of a It's spring and I want to bake treats for my girlfriends recipe. It also being Easter, it was a fitting flavor. 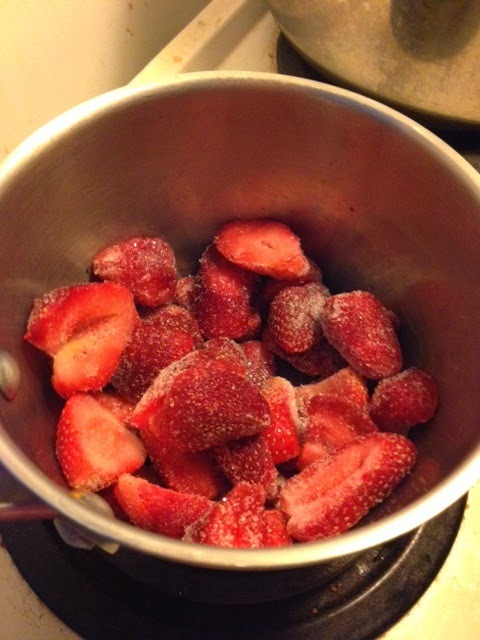 In a saucepan cook strawberries and sugar over low-medium heat until it starts turning into a sauce and bubbling. 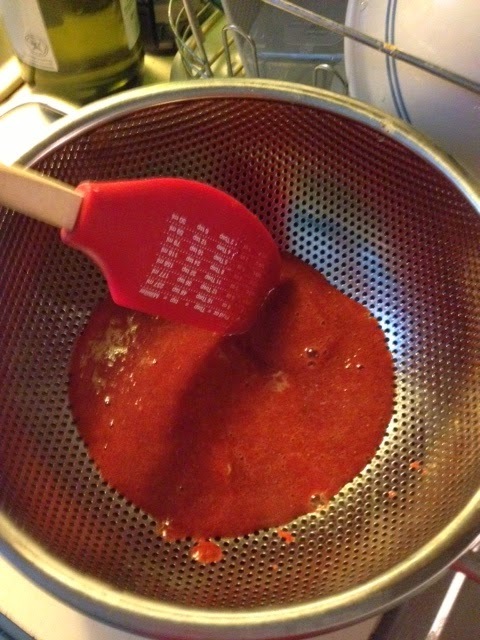 Remove from heat and puree in a blender. Then press through a sieve to remove chunks/seeds. 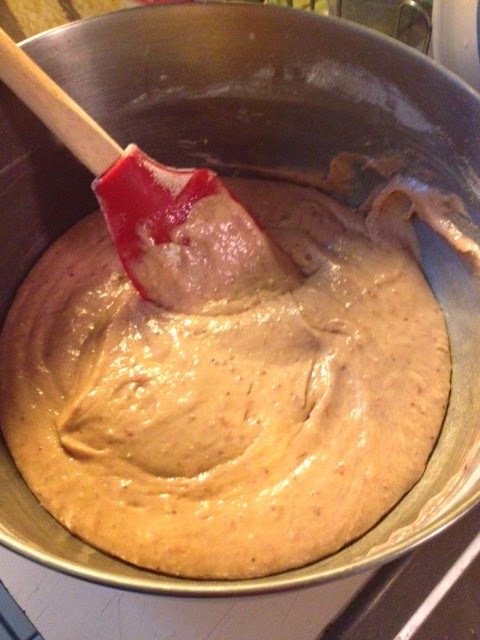 In a large bowl combine strawberry sauce, cake mix and oil. 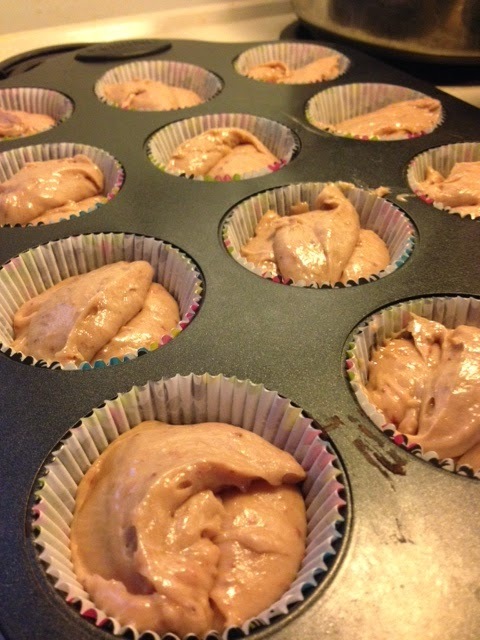 Scoop into cupcake cups (should fit into a tray of 12). Bake as per box directions, or until a fork comes out clean. 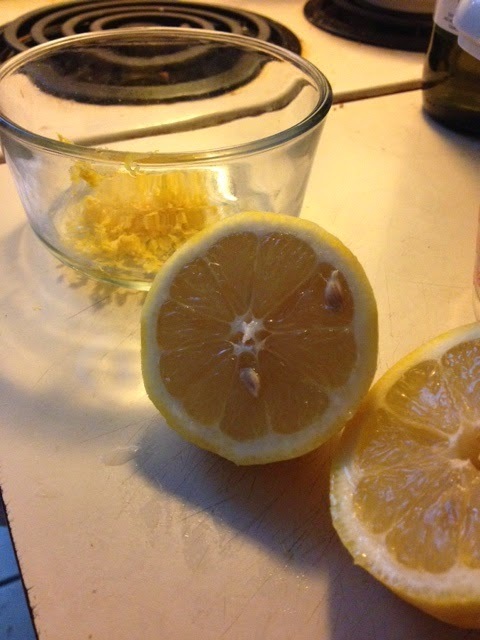 Zest the lemon (just the yellow, not the white because that part is bitter) and juice the lemon (should be about 1/4 cup). Mix into the room temp butter. Add in sugar one cup at a time until you reach the desired consistency. 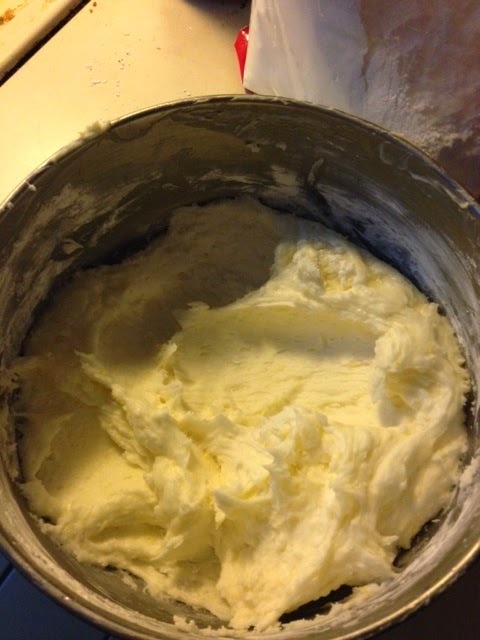 I was looking for a frosting that was thick enough to pipe so I think I ended up putting about 5 cups of sugar in. But if you'd prefer a thinner frosting, something more like a glaze, then use less. Next time I might also add in some cream cheese to dilute the sweetness (not everyone loves sweets as much as I do). 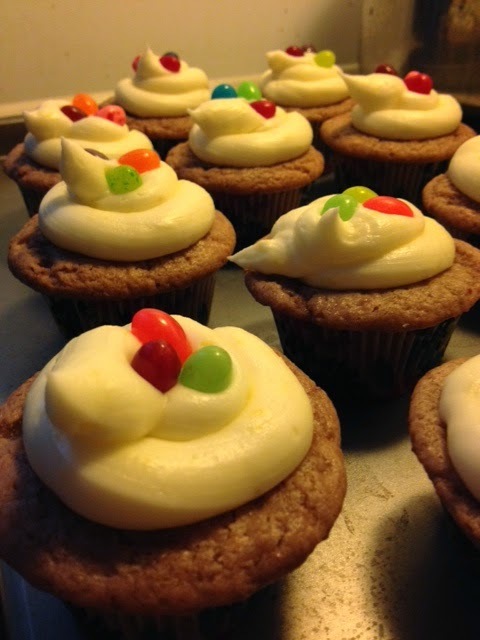 I also put some jelly beans on top as a fun Easter garnish (who doesn't love jelly beans?) 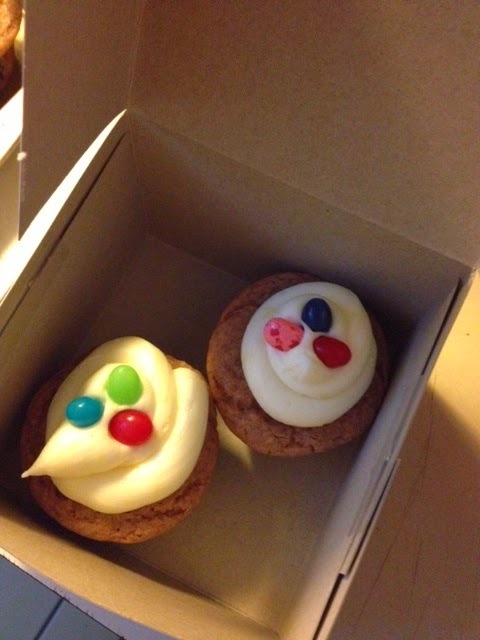 and bought cute boxes at Michael's so I could gift the cupcakes. I have to say, the cupcake was not overly sweet so the tartness of the frosting was a perfect pairing. This is a great flavor for Spring/Summer. I loved my cupcake gift box. 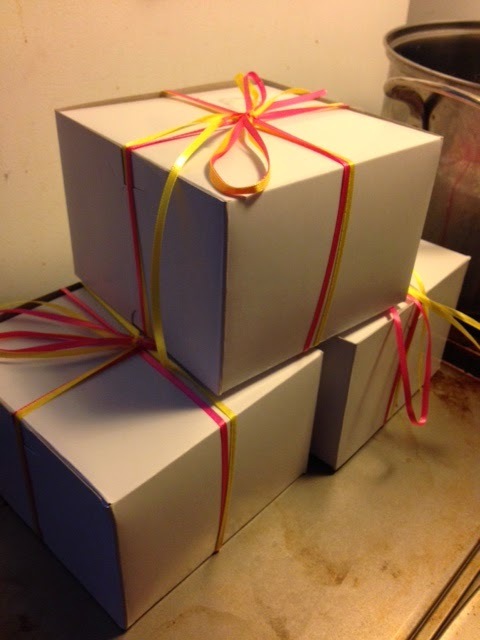 The jelly beans and the pink and yellow ribbon really added that extra special touch.